Dewalt vs Bosch Laser Level – Which Laser Level To Buy? Read moreDewalt vs Bosch Laser Level – Which Laser Level To Buy? PLS 180 Cross Line Laser Level from Pacific Laser Systems was introduced with the motive to help workers building an architectural beauty perfectly. This light weight self leveling laser tool is designed for the plumbers, electricians, mechanical or other technicians and the people involved with construction industries. 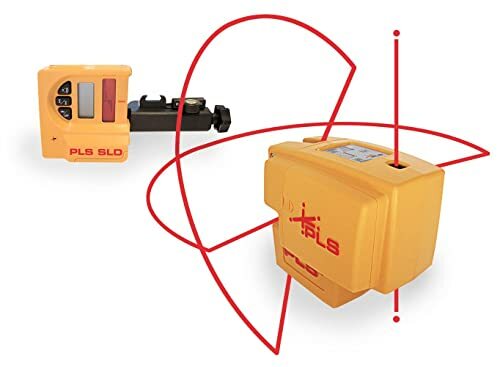 The PLS 180 helps home owners and contractors easily align things when needed and finish the work with professionalism. Both the horizontal and vertical laser lines give you more accuracy and save your time. 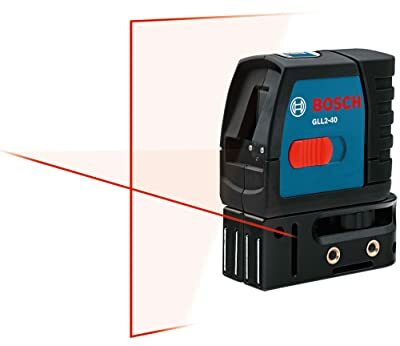 Bosch GLL2-40 Self-Level Cross Line Laser is one of the smallest and the most reliable cross line laser on the market which has built in magnetic bracket. This is the self-level laser including both the vertical and horizontal level diode and cross line diode system and can also be used as both automatic and manual. Bosch GLL2-40 was first released on January 28th, 2011. Since its first availability, it has been considered one of the best user-friendly tools for aligning, leveling and scaling in the construction industry. Looking for a laser level that is compact, versatile, accurate, and user-friendly? If so, your search is over because the DeWalt DW088K Self-Leveling Cross Line Laser is all of that. This laser level projects bright vertical and horizontal lines that cross with each other for various leveling and layout applications. It is designed to be used with the DW0892 line laser detector to extend its range up to 165 feet. 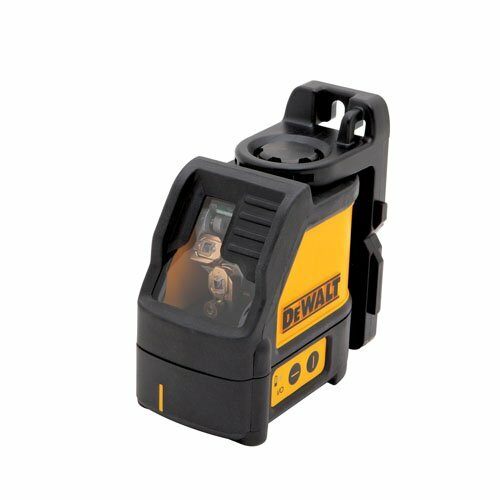 Since the DeWalt DW088K only has 2 buttons to operate the horizontal and vertical laser beams, it is not complicated to use. The laser beams are bright and accurate to not only get the job done but get the job done right. Want to find a laser level that helps improve efficiency on your construction projects? So the Dewalt DW088LG Cross Line Green Laser Level can be the best choice for you. With the green laser diodes, you will get a greater visible range of about 100 feet, which is more visible compared to red laser diodes. Furthermore, with the 12V lithium-ion battery compatibility, you will have long lasting battery time. The Pacific Laser Systems PLS-4 can help make onsite layouts faster. 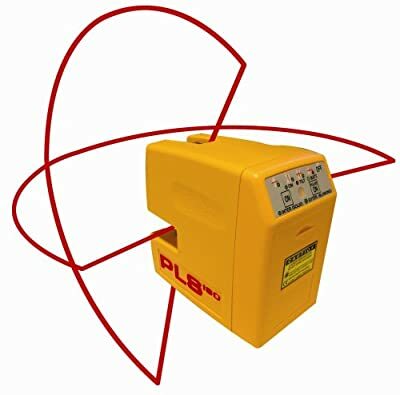 PLS 4 Laser Level is a professional and low-cost precision laser. This laser level is equipped with a crisp and bright laser beam that is cross line accurate to 1/8” at 30 feet and point-to-point accurate to 1/4″ at 100 feet. The PLS 4 Laser utilizes high quality optical glass. It also has a dirt resistant case and is very thrifty with its power supply making it reliable in any construction site. 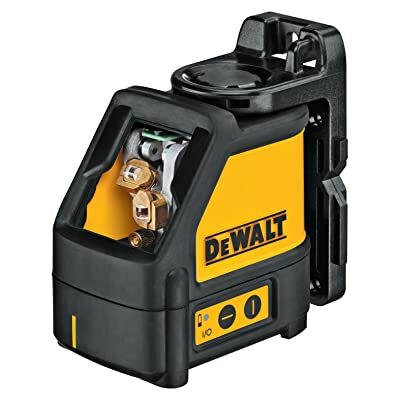 From its initial release in July 2004, the Dewalt DW087K Laser Level remains one of the best tools for leveling and aligning in construction projects. 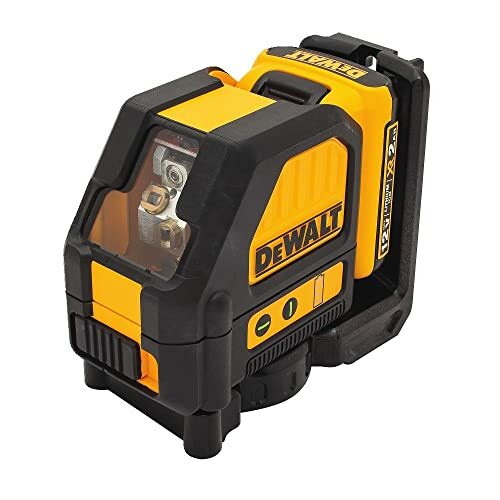 While a number of innovations to the original laser level has been released by DEWALT, the original DW087K is still a go-to product for many construction companies because of its simplicity.